At that point Barbra Streisand and I both slid into a corner and a few minutes later we nodded and both went to the bathroom where we agreed that we should leave as soon as possible. I am constantly under stress but whereas most people hate it, I love being under stress. I like putting myself in fearful situations because then I have to perform to an excellent level. I like to raise people’s eyebrows and play with the art of music; when I did a song with Kenny Rogers everyone said, “What are you doing messing with country music?” but it was amazing. We should never get stuck in a rut. I have always carried a dictaphone with me just in case I get a melody in my head at any time of day or night. I can’t read music but I can read chords. The dictaphone and a chapstick come everywhere with me! When I travel I like to keep my watch on Pacific time for the first week, if I fly into London for example. It tells me where I am in terms of my biorhythm and helps with my sleeping and waking. It has been a helpful lesson. I marvelled at my grandmother’s faith. She became a priest and lived to be well over 100. Even if I was on the other side of the world, she would often call me up. Sometimes she would just call and leave a message. What made you who you are today? The first day I walked into Motown’s offices my life was changed forever; it was like my first day at the ultimate university and my instructors and tutors were Marvin Gaye and Stevie Wonder. 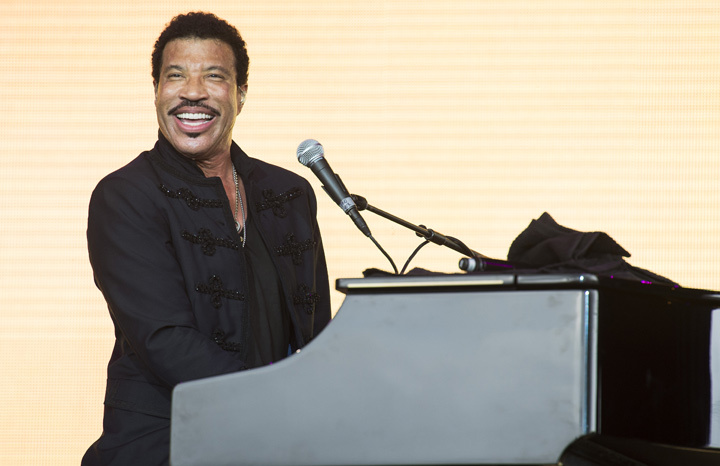 Lionel Richie & The Commodores: The Definitive Collection previously made it to number 10 in the charts when it was released in 2003 but the album topped the charts again after Glastonbury 2015.